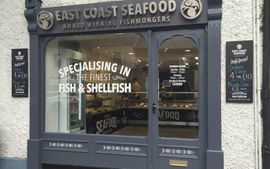 East Coast Seafood was established in 2009 by James Kirwan and Renee Tallon. Both James and Renee have the sea flowing through their veins with each having a family history deeply involved in the fishing industry for generations. 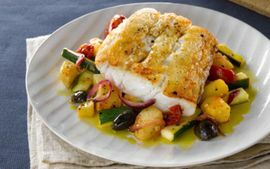 Hailing from the small fishing village of Clogherhead on the East Coast of Ireland Renee’s father, grandfather and great grandfather were all trawler men and some of the family still own boats in the popular coastal port. James got involved with the trawlers at the young age of 14 following in the footsteps of both his grandfather and great grandfather, enjoying summer trips on the local boats before taking to the seas full time at the age of 18. James then went on to study marine engineering at college in Donegal, this allowed him to work in a different area of the industry and he spent time on larger trawlers and travelled to destinations such as the Bay of Bisque off the coast of France in search of Tuna. James always wanted to work with fish but wanted to spend more time ashore and so East Coast Seafood was born. 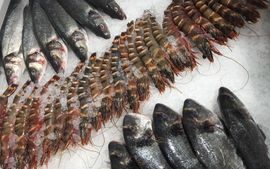 James and Renee have a genuine passion for the product they sell and will always try to steer their customers towards Irish caught fish and shellfish. James is the main buyer and fillets most of the fish himself in their custom fitted filleting room. They also have a fully equipped kitchen which produces all of their ready made products. They also stock a great variety of dry goods that are all produced in Ireland such as Organic Dunany Flour and Oriel Sea Salts (produced from the water at Clogherhead) to complement your seafood. James Kirwan is proud to be a Bord Iascaigh Mhara (BIM)Young Fishmonger of the year winner.